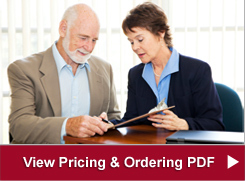 If you have a question about prices or ordering call 563-263-5484 or click on one of the 3 links below to get a question answered, request an estimate or request that a brochure be mailed to you. 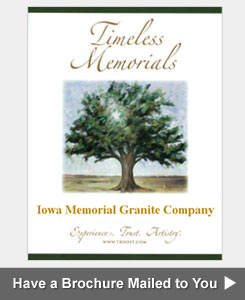 Below is a price guide for your reference so that you can understand rates, fees and costs associated with Iowa and Illinois cemetery monuments, memorials, headstones, gravestones, tombstones and grave markers. We make our headstones right here in Muscatine, Iowa. Because there is no middleman we pass the savings right along to you. The granite you choose is primarily what determines the rate. 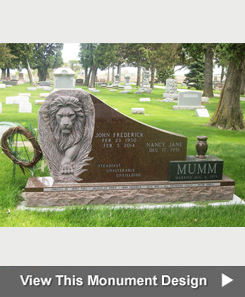 When you visit our showroom we will be happy to tell you specific grave marker prices so you will know exactly how much the memorial you created will cost. The prices shown below include the memorial, standard design, three lines of lettering and delivery. Cemetery installation fees and sales tax are additional. If you have a question that is not answered by the above or on the FAQ’s section of our website, please call our office at 563-263-5484. 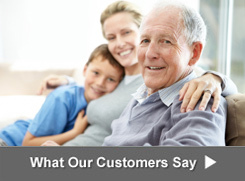 We are pleased to assist you in any way we can.